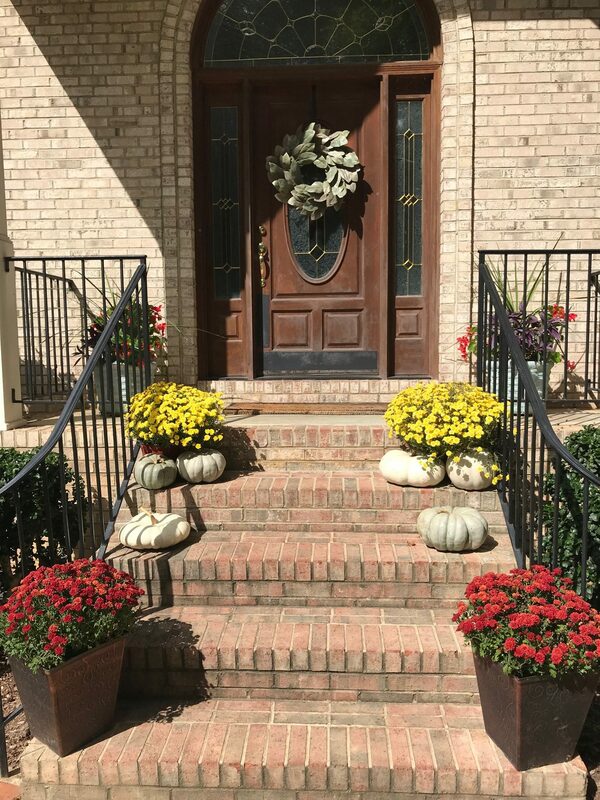 My husband and I have had a long-standing, annual disagreement about when it’s acceptable to decorate the house for fall. He seems to think that “September 22nd” is the right time. Says it’s the “first day of fall”. He even has calendars that prove his “theory”. Well, I’m here to tell you that he (and every calendar ever) is wrong. Fall begins on September 1st in my house because I said so. It just feels right!!! All the other seasons can begin mid-month like they are supposed to… but not fall. September 1st marks the beginning of crisp air, leaves changing, kids going back to school… It brightens the leaves on the trees and mutes the leaves on the ground. And let’s not forget candy corn! YUM! 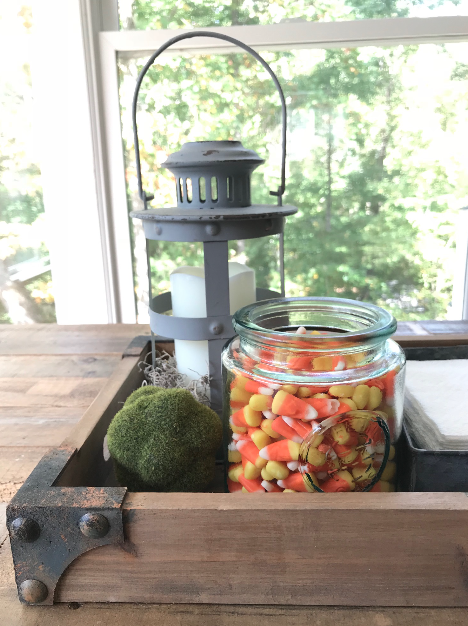 I am giddy with excitement as I collect all the fresh greens and summery items from around the house to store away and haul out our “fall bins” for a change of scenery. 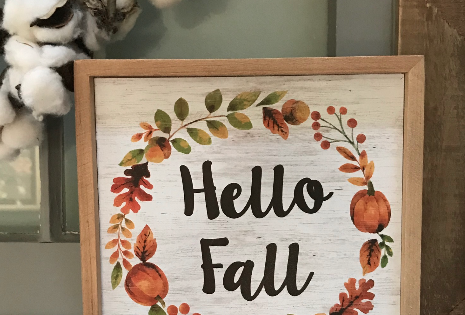 There are tons of simple ways to change up your décor to bring a little bit of autumn right into your house, so you can enjoy that crisp, beautiful season from the comfort of your home. 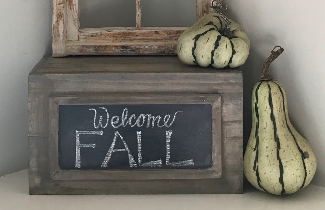 One of the easiest changes to make is to go around to each room of your house and pull out a few décor items that don’t quite have that fall-ish feel, and give them a new home (out of sight) for the season. Replace each item with a pumpkin, some brightly colored leaves, or other sign of the season! You don’t need to have a huge fall décor collection to make a big impact. I had an adorable ceramic bird nestled in with these two wire covered glass vases (middle shelf). I just scooped her up and helped her migrate to the attic for winter. She will be back in the spring, but until then, a creamy white pumpkin will keep her place warm, and will eventually be replaced with something Christmas-y a couple months from now! Then, I mixed in some brown Spanish moss with the green moss in this vintage shoe-shine box (one of my FAVORITE new/old pieces, thanks to my in-laws) to give these cabinets just a hint of that fall feel. 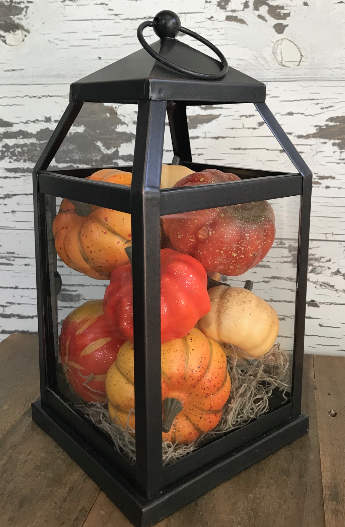 Another idea is to take a lantern that may typically be home to a candle, and fill it with little pumpkins, some wooden acorns, or add some cotton stems and sprigs of leaves. 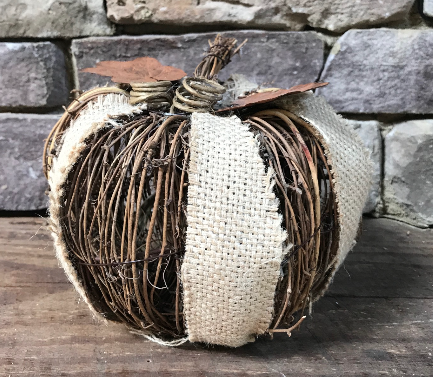 The other thing to keep in mind is that, nowadays, decorative pumpkins are available in a variety of colors, sizes, shapes, patterns, and materials! Not feeling the orange pumpkin look, Charlie Brown? No problem! 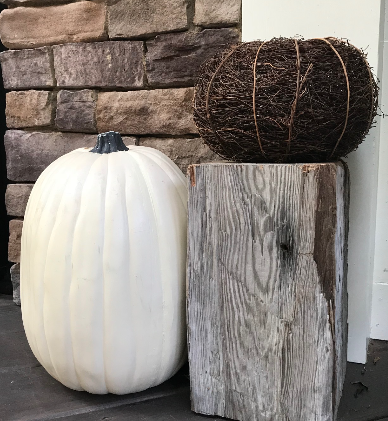 Here are a few examples of some yummy, neutral pumpkins that I’ve incorporated into my décor that are far from orange! !